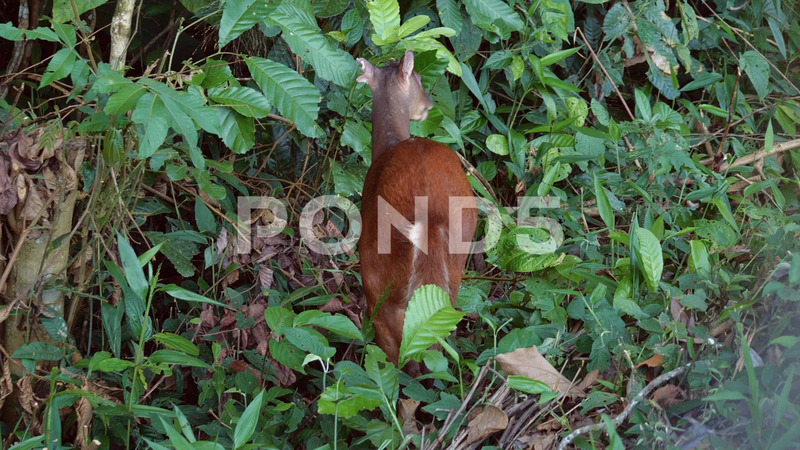 Description: browsing on leaves in the rainforest understory. One ear is damaged, probably by a jaguar. In the Ecuadorian Amazon.